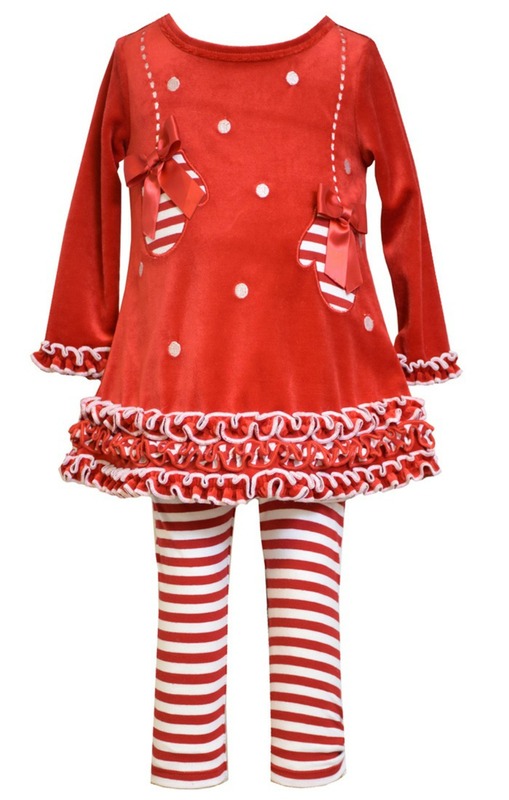 Adorable red and white stripe velour stretch leggings and matching red velour mitten tunic are perfect for the winter holidays. Machine wash. Imported.